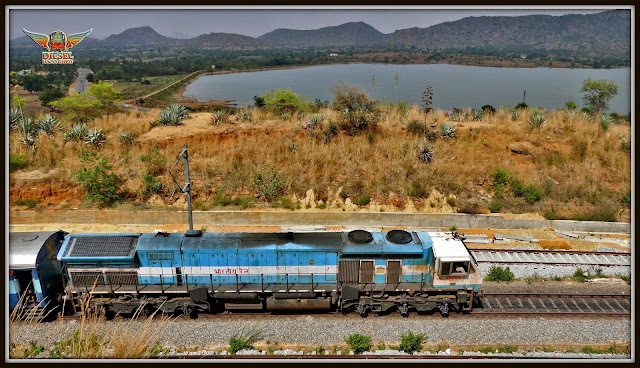 The Emperor of Our Empire Called "DIESEL LOCO SHED", His Highness, 20065 from Diesel Loco Shed, Hubballi (UBL) proudly leads the LEGEND of the South - LEGENDARY KARNATAKA EXPRESS thorough the Makali Ghats !! Enjoy the Elegance and Grace as His Highness hauls the Legend up the Ghats in Top Notch !! 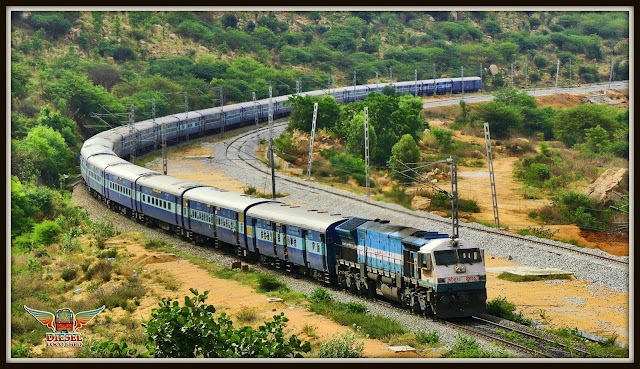 20065 leads Karnataka Express across a Beautiful Curve !! Another View of the Locomotive ! !